Cows are milked twice a day, 365 days per year. Dairy cows are milked at least twice a day, in the morning and the evening. Over 20 million hours of work provincewide are spent on this activity every year. 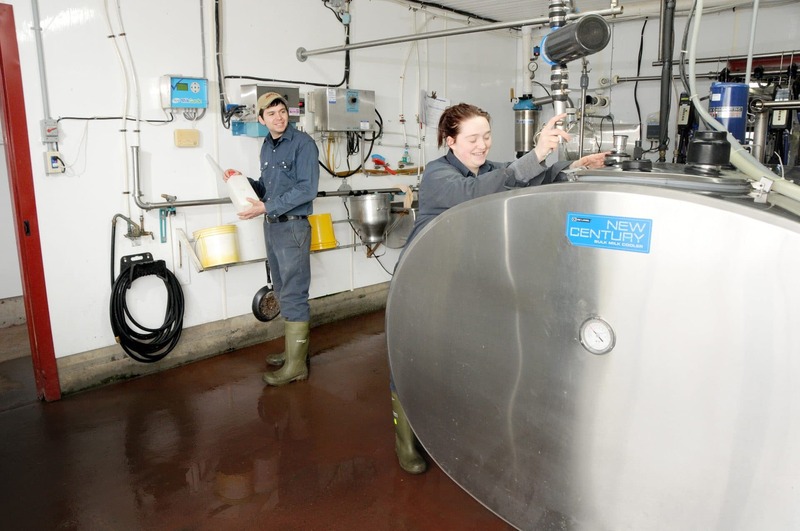 Thanks to advances in technology, many producers have traded the traditional milking parlour for milking robots. 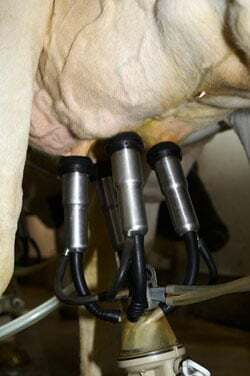 Milking robots can milk 50 to 70 cows per day, which equals a total of 150 to 200 milkings every day, or around 2,000 litres of milk. 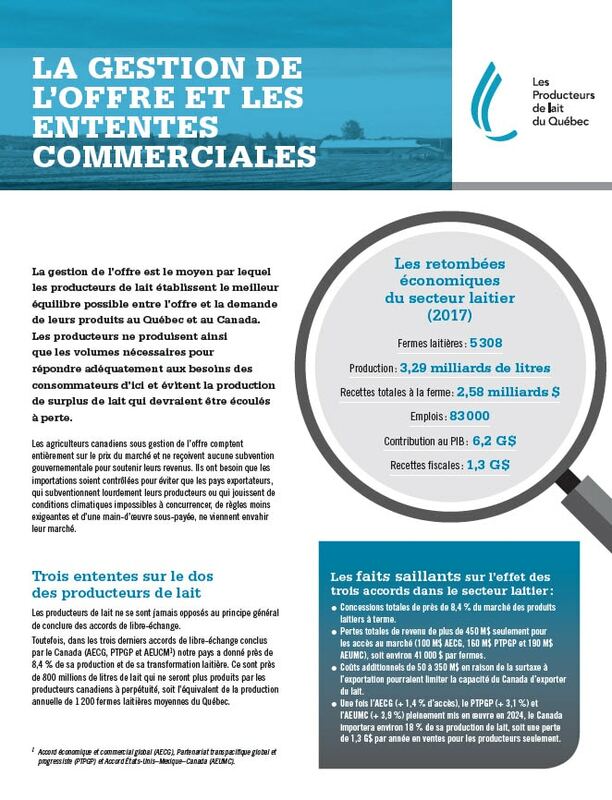 This solution not only allows producers to streamline their work and increase the number of milkings per day, but also eases the constraints of a day/night milking schedule and the need for farm workers a s a result. 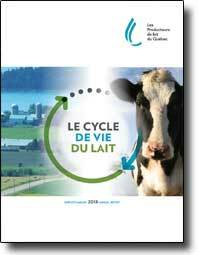 The most popular model in Quebec for about thirty years, the herringbone milking parlour enables a group of cows to be milked while the producer prepares a second group of cows. The cows are placed at a 45 degree angle to the milking pit. Automatic milkers combined with the herringbone milking parlour make it is possible for one person to do all the milking. The parallel milking parlour is very similar to the herringbone milking parlour: a group of cows enter on one side of the parlour pit. They stand at 90 degree angles to the pit and leave through the front of the parlour once the milking is finished. Since cows are closer together in this model than in the herringbone model, the milking is more efficient. This type of parlour is mostly used by herds with over 100 cows. In the auto-tandem milking parlour, cows are lined up parallel to the parlour pit. The cows are milked individually rather than in a group. This parlour model is mostly recommended for small herds. 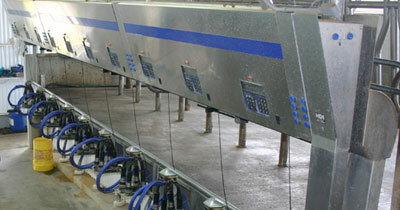 The single-level milking parlour is advantageous for small farms because it can be built from old stable equipment. Just like the auto-tandem parlour, cows can be milked individually in this model. Equipment, technique and hygiene play a key role in avoiding the development or transfer of bacteria that may harm the quality of the milk. When cows are milked, their milk is led by the milk line into a cooling tank, which is located in the milk house next to the stable. The job of the cooling tank is in fact to cool the milk and keep it cold. In less than an hour, the milk goes from 38°C to the temperature of a refrigerator, which is between 1 and 4°C. This process makes it possible to prevent undesirable bacteria from developing before the tanker truck arrives.